* 1 1/4" diameter loupe with two 5x power lenses. 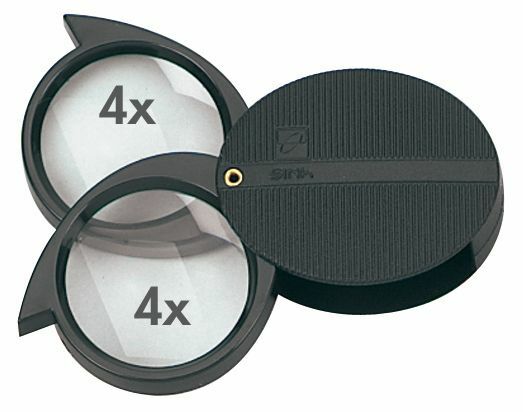 * Use both lenses together for 10x magnifications. * Slides into hard self-case. 2" x 1.75" x 0.75"